The latest WhatsApp update adds GIF search features and expands the app’s media sharing limit from 10 to 30. The improvements are included in the WhatsApp 2.17.6 beta for Android, which introduces GIF functionality available to iPhone users since November last year. 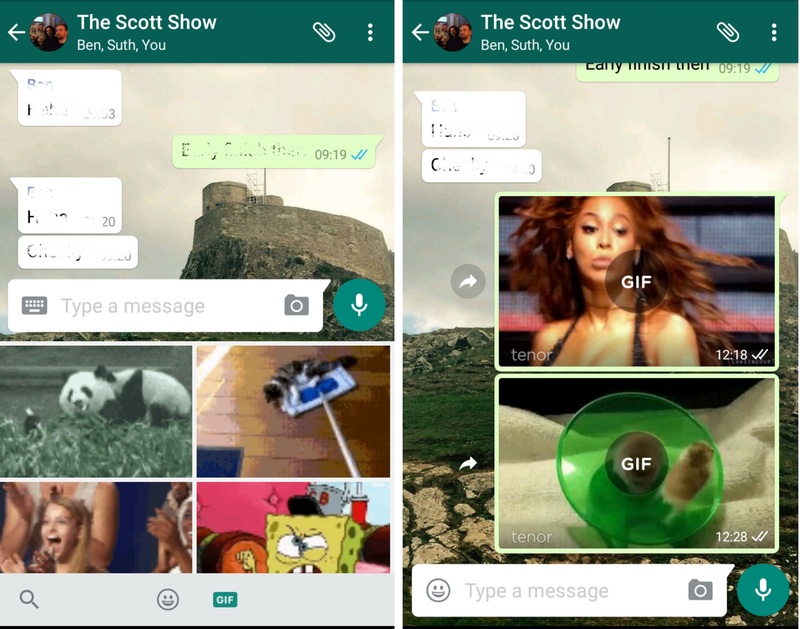 Previously, WhatsApp users on Android were able to send and receive GIFs as long as they were stored on the device. Now, WhatsApp has integrated GIF search directly into the app. Tapping the emoji icon next to the text entry bar within WhatsApp reveals a GIF option at the bottom of the emoji window. This allows you to search Giphy (or Tenor in some regions) for GIFs to send in chats. WhatsApp’s latest update also allows you to send 30 files at once, rather than send them in packages of 10. This ends a longstanding annoyance where users had to re-enter the media sharing screen just to send an extra one or two photos after their first batch. WhatsApp hasn’t officially announced the update’s roll out yet but it will likely follow soon — providing there aren’t any deal-breaking problems with the beta. Also note that, after a quick look at the response to the original story, it appears that not all users running the latest WhatsApp version have access the new features. Their appearance may be dependent on location. You can download the latest beta from the Play Store (though you’ll need to register to become a beta tester first). Should you update, let us know your experience with the latest version in the comments.